Starbucks have crafted a roast for a smoother finish. 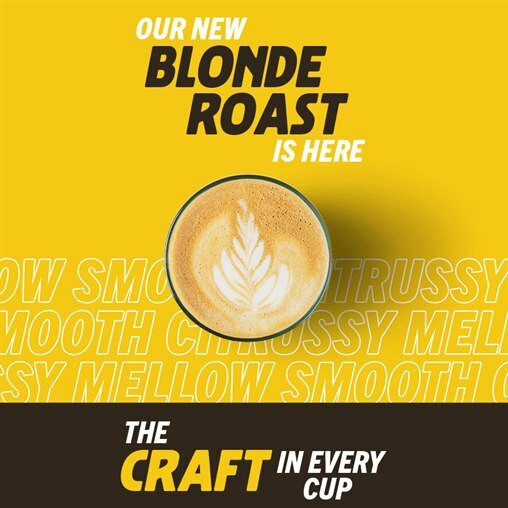 The New Blonde Roast is mellow, yet still packs a punch! It’s softer on the palette with light notes of citrus, a great alternative to their Signature Roast. Whether you fancy a Flat White of a simple Espresso, the Blonde Roast is available in all your favourites. Why not reinvent your cup and go Blonde with your beverage today?